Arcademics combines the excitement of video games with educational content to produce a high rate of learning through exciting, focused repetition that enables automaticity and fluency to be achieved quickly. Students respond to challenge and errors can be viewed as opportunities to improve rather than as indication of failure. Repetitious drill can be fun, as games increase the time-on-task and engagement through competition. Immediate corrective feedback facilitates improvement in performance. Teachers and students can quickly see mistakes and how to correct them. After creating a teacher account, login and enroll your students - giving each a username and password. Assign custom games to students. Students login online or with our app to play and earn achievements and power ups. View score trends to see where students are excelling and struggling. Assign new game content based on their needs. Multiplayer Classroom Gaming. 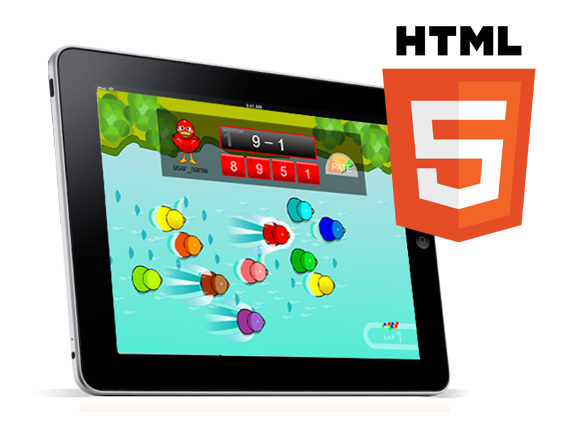 Our HTML5 games allow students to play together from any device - with no installs or firewall edits needed. Engaging & Motivating. 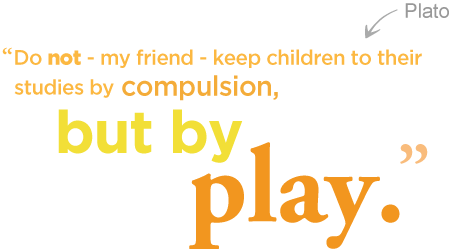 Playing with classmates increases student engagement and can improve time-on-task performance. Rate-Based Learning. 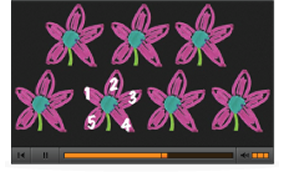 Fun and focused repetition practice enables automaticity and fluency to be achieved quickly. 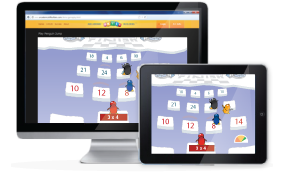 Customize game content to fit your lesson plans, and assign different content to different students. 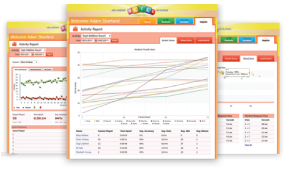 Monitor student progress and zoom in on problem areas with our performance reports. Students can watch video lessons on most-missed problems.